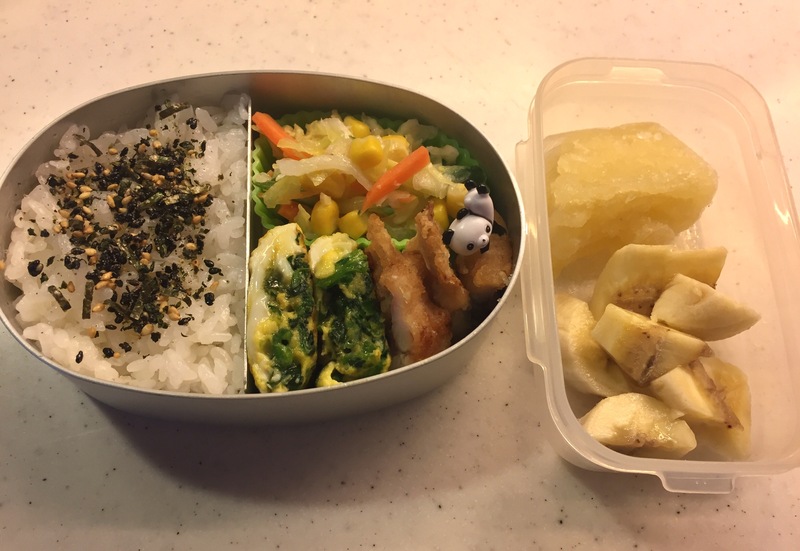 Fried aji (horse mackerel) is one of the very useful dishes for bento. Today I marinate the filets of aji with sake, soy sauce and mirin (1:2:2 proportion) with ground ginger, tossed the marinated filets into katakuriko (片栗粉, potato starch) and shallow fried it. You could also cook the filet like you make cutlet, and serve them with Wooster sause. It’s easy to make and tasty!